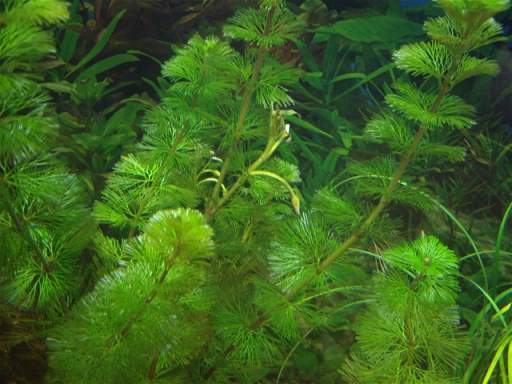 General Description: Fanwort is a submersed, floating (often rooted) perennial, with short, fragile rhizomes. Erect shoots are upturned extensions of horizontal rhizomes. Flower Description: Flowers are small, less than 1/2 inch in diameter and float on the water. Flowers have 3 petals and 3 sepals. White petals have yellow coloring at the base. Leaf Description: They are light to olive green and sometimes reddish brown. Two leaf types present—submersed and floating. Submersed leaves are oppositely arranged, fan-shaped and finely divided. Floating leaves are alternately arranged, narrow and appear near stem tips. Stem Description: Stems are long and branched, sometimes having a gelatinous coating. Fruit/Seed Description: Flowers form 2 to 4 leathery pods with each having 1 to 3 seeds. It is an extremely persistent and competitive plant that grows densely and crowds out native species. It can clog drainage canals and freshwater streams. It can also prevent recreational activities and normal water flow requiring costly control measures.